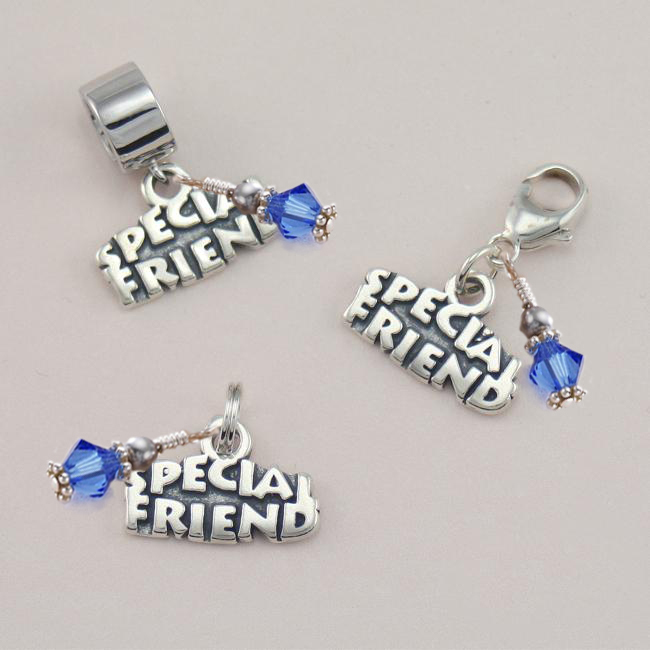 Special Friend Charm on Your Choice of Fitting. Charm Size: 18mm x 6mm (without the fitting). Option 1 - Charm on a Sterling silver split ring (just like a tiny key ring) for easy attachment to any piece of jewellery. Option 2 - Charm on a Sterling silver lobster clasp. Ideal for Sweetie & Sabo style bracelets or to add to any necklace chain or bracelet. Option 3 - Charm on a Sterling silver bail. Perfect for all popular snake chain bracelets. The hole through the bail is 6mm. 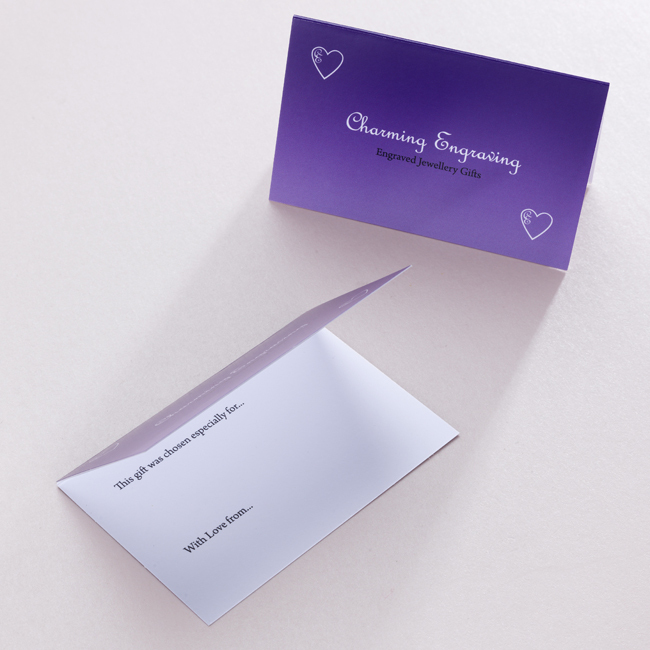 We will attach the charm securely to your chosen fitting. 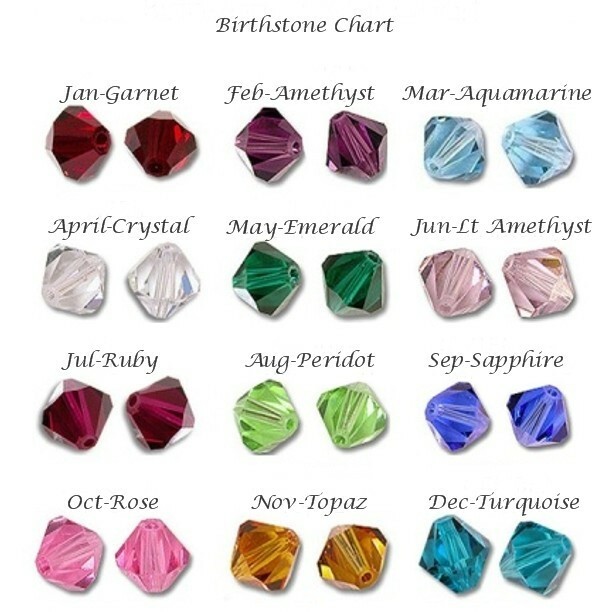 Comes with your choice of sparkling Swarovski birthstone crystal dangle (from the prestigeous Elements range). All parts are .925 Sterling silver whichever option you choose. 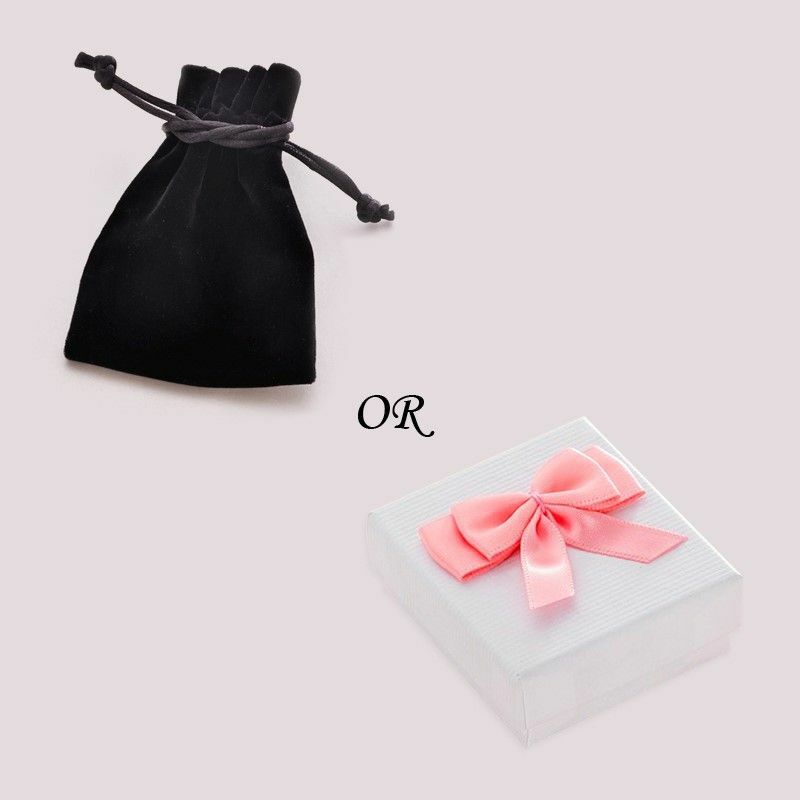 Comes neatly packaged in a luxury velour pouch or gift box with free gift card.